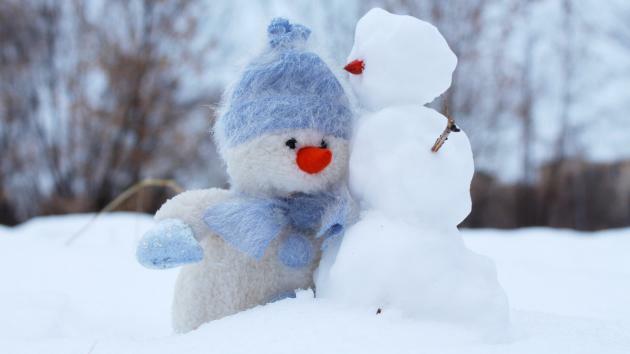 Two snow-things hugging, but expect the Gnomes and Snowballs to fight when they meet in 2 weeks. Following the same methodology as in this first post on the Pacific, here is my analysis of the top lineups in the Central Division and their playoff prospects. I'll note that throughout the season, I had some misgivings about the overall strength of the Central Division-- they did not perform great against other divisions in the Battle Royales, and I could not tell why teams like the Gnomes and Mosquitoes were at the top of the division with hardly any players over 2600. Having finally analyzed these teams, I can now see why. The Central may be a smidge weaker than some other divisions, but the 1-3rd playoff seeds have comparably strong lineups to those in the Atlantic and Pacific Divisions (minus Dallas). The East, as you will see in my next post, has 3 lineups that rise above the rest. The Gnomes and Mosquitoes can each field lineups with only 1 player over 2500, and 0 players over 2600, that are absolutely capable of winning the 2019 PCL Championship. If Kaasen can consistently play at a 2500+ or 2600+ level (in his only outing he scored 6/6 for a 2700+ perf), then the Gnomes would be best served by bringing him and Aryan Tari in to supplement their two best performers from the season, Christiansen and Larso. The lineup works out perfectly, and depending on Kaasen, might actually be completely insane-- like Eastern-Division insane. If not, they have the balanced lineup which features only one 2525 and otherwise sub 2500 players, and yet has performed at an elite level. Either way, the Gnomes, without Carlsen for the first time, have the best team they've ever had. The Snowballs don't have a great variety of lineups, in fact they only have one pattern: female bonus on board 4, allowing them to play 2 2600+ and a ~2500 on board 3. They can do this a bunch of different ways, swapping Klek and Agrest interchangeably, and 2 of Alekseenko/Meier/Donchenko, followed by either Kollars, Keymer, or Diamant on 3. For the Snowballs to succeed in the playoffs, I think they need Kollars to show up, as he has a consistently special performance, and is the MVP of this team, the axel in the middle that makes everything succeed (of the two matches they lost, each by only 7.5-8.5, in one of them Kollars did not play; in the other he had a bit of an off day, "only" scoring 2.5-1.5, while the Snowballs also lacked a second 2600). Their top 3 are probably interchangeable, so as long as 2 of them and Kollars are available, I still think Baden-Baden has the best 4 v 4 squad in the Central. There are three players who have really lifted the Mosquitoes when they've played: Vrolijk, Spoelman, and Van Wely. Everyone else has done fine, and doesn't hurt the team, but doesn't produce the spectacular results that are needed for playoff success. I don't believe they've ever played their 3 all-stars in the same week, despite which they've reached the playoffs in good shape, but if they want to get any farther, I think they will need to. Even then, their top lineup can compete with non-Dallas, non-Eastern playoff teams, but it will be an underdog against Baden-Baden or the Gnomes. First observation: without Duda, this team won't be able to compete in the playoffs. Period. With Duda, they will still have a mighty uphill battle, which will depend on whether Flavio Perez can score some points. Unfortunately for them, the Duda-Cornette-Joie-Bordi lineup is illegal by one single rating point (2500 average, must be 2495.75 to be legal). Frankly, this team would not have made the playoffs in any of the other 3 divisions, and on paper they should not be able to advance in the playoffs. Last time these teams met, the Snowballs prevailed 8.5-7.5. Neither team was running its ultimate lineup at the time, but the Snowballs lineup was the most weakened, with Diamant in place of one of their top guns. My bias against the Gnomes or my bias in favor of the "Sac4" lineup may be showing here, but although they are closely matches on paper, I think that the team with the stronger performers on boards 1-3 will outdo the team with the very strong board 4, though they will probably only score 8.5 (by board order: 3-3-2.5-0).